Two wildcards have emerged victorious in the fierce 12-contender battle for clearance to operate dockless, rentable electric scooter programs on the streets of San Francisco. After three months of reviewing applications, San Francisco Municipal Transportation Agency (SFMTA) announced Thursday they would be awarding only Skip and Scoot permits in October, despite previously saying there were five slots up for grabs. In turn, the two underdogs, who were chosen over top-names, including Jump (Uber), Lyft, Lime, Spin and Bird, have been accepted into a one-year test program in the city. 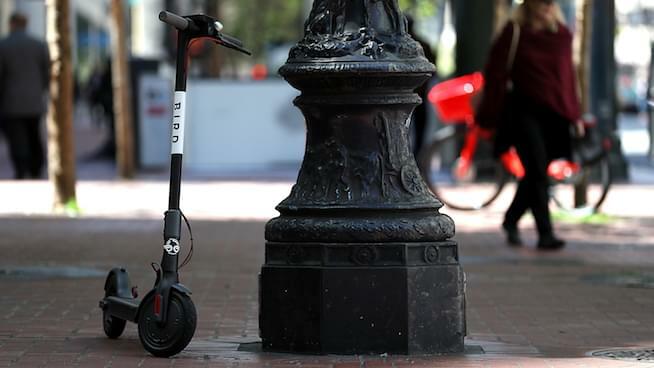 Bird, Lime and Spin were all served cease-and-desists letters when they flooded the roadways with their scooters earlier this year without notifying officials. Scoot and Skip both notably took a more bureaucratic approach and opted to talk with city regulators before launching, and it appears their patience is now paying dividends. Lyft and Bird echoed similar sentiments and voiced a desire to continue working with the city. Lime chose more aggressive messaging.